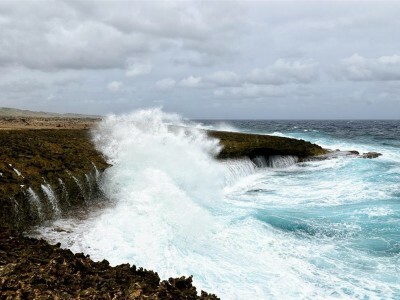 Visiting Curacao during your Cruise? We have the right tour for you! First we drive over the Juliana Bridge, where you will have a great view of Willemstad. Then we pass through the old Jewish neighborhood, you will see all the old Jewish Mansions that are being restored. We also visit the Curacao Liquor distillery, here you can see how the ‘Blue Curacao’ is made and taste the different flavors. The west side of the island is known for its nature, history and incredible beaches! Along the way our professional guide will tell you all about our Island’s rich history. The name says it all, land & sea. 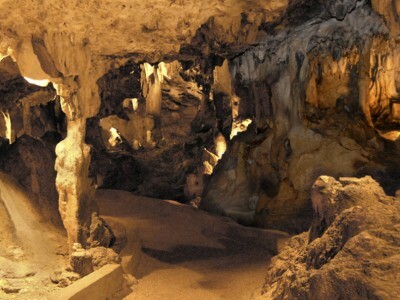 Visit the breathtaking Hato Caves and one of the most beautiful beaches on the Island. This cave is home to beautiful limestone formations, romantic pools, a colony of seldom seen long nose fruit bats and stalactites and stalagmites still in formation. Amerindian Arawaks and escaped slaves used these natural shelters as hiding places. 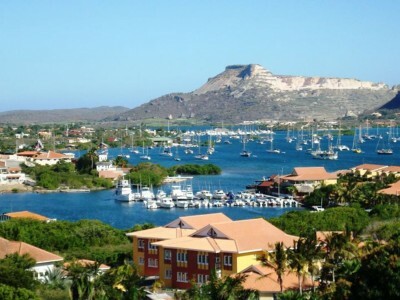 Coming to Curacao with a large group? 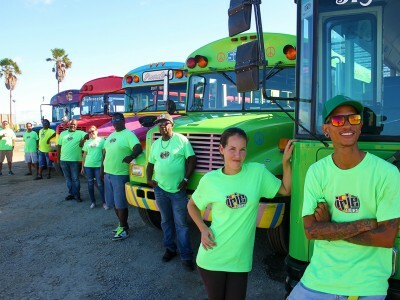 At Irie Tours you have the liberty to create your own private tour! Contact us with your inquiries and we will be more than happy to accommodate your group! If you love your job, you don't have to work a day in your life! Contact us for your next birthday party, Bachelor/Bachelorette party, night out with friends, family outing, you name it! 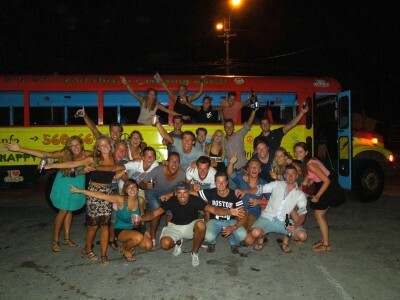 You’ll have an unforgettable time in our fun-filled partybuses! 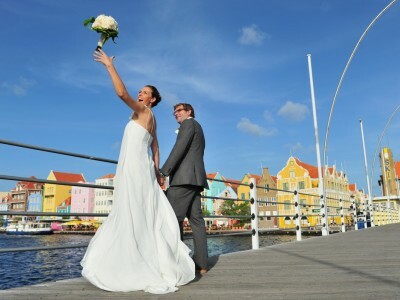 Getting married in Curaçao? Make your Island wedding complete with Irie Tours! 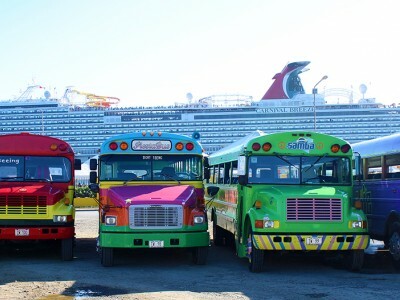 We offer all your transportation needs to and from your ceremony & party while having lots of fun along the way in our unique, colorful open-air buses! For your next Company event, why not organize something out of the ordinary! Use our buses as transportation to and from any location. Contact us for more information and prices. The Irie Tours office is located beneath Restaurant De Gouverneur, right in front of the ferry station on the Otrobanda side of town.